Silky Scents EO148-10ML 100 Percent Pure Therapeutic Grade Ginger Organic Essential Oil - 10 ml. 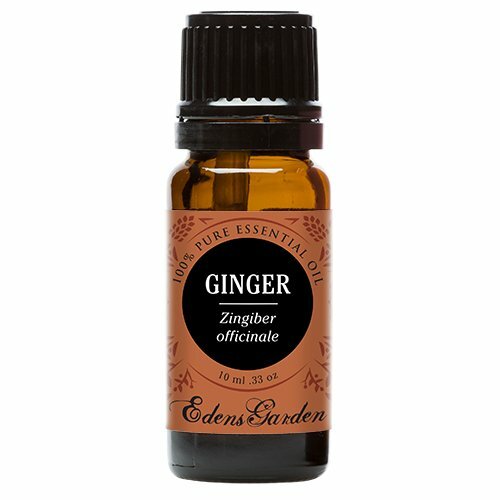 FeaturesGinger Organic Essential Oil Aromatic Description - Spicy woody warm with a hint of lemon and pepper. Perfumery Note - Middle/Base Blends well with - Cajeput Cinnamon Bark Eucalyptus Globulus Frankincense Geranium Orange Sweet and Verbena (Vervain) Wild Crafted. A brilliant pink and white Torch Ginger (Etlingera elatior) 100% Pure Essential Oil 100% Pure Therapeutic Grade Capacity - 10 ml. Aromatherapy PropertiesIt is antiseptic analgesic expectorant laxative and relief. Aids memory cheers one up. Eases sore throats. Settles the digestive system effective against nausea hangovers jet lag sea and travel sickness. Relieves cramps rheumatic pains and muscle spasms. A valuable remedy in cases of impotence. HistoryThe plant is said to originate from India China and Java but is also native to Africa and the West Indies. It is believed that Ginger was brought to Europe between the 10th and 15th century as both a condiment and spice. It has been used for medicinal purposes since the ancient times; it is recorded specifically in both Sanskrit and Chinese texts. It is also mentioned in literature from the Greeks Romans and Arabians. Botanical Name: Zingiber officinalis Plant Part: Root Extraction Method: Steam Distillation Origin: China Color: Pale yellow to yellow liquid. Common Uses: Ginger Essential Oil is believed by aromatherapists to be applicable for colds and flu, nausea (motion sickness, morning sickness), rheumatism, coughs and circulation issues. It also has warming properties that help to relieve muscular cramps, spasms, aches and ease stiffness in joints. Ginger is also viewed as an aphrodisiac and is believed to ease anxiety, renew vitality and revitalize self-confidence. Consistency: Thin Note: Middle Strength of Aroma: Medium Aromatic Scent: Ginger Root Essential Oil has a warm, spicy, woody scent. Cautions: Ginger Essential Oil can irritate sensitive skin. Avoid use during pregnancy. Taken from the rhizome (the subterranean stalk of a plant that shoots out the root system), Ginger has many traditional uses. A featured ingredient in many Asian dishes, Ginger has a hot, fragrant flavor when used as a kitchen spice. In Western tradition, Ginger is most often used in sweets-gingerbread and ginger snaps being two examples. Studies have been conducted on Ginger for its positive effect on joint health; however, Ginger is best known as an effective digestive aid and for helping to ease indigestion and nausea. As a powerful tonic for the entire digestive system, Ginger can lessen motion sickness, soothe an upset stomach, and help digest food after a large meal. Ginger essential oil can also be applied topically or inhaled to help with digestion issues. Silky Scents EO21-1OZ-30ML 100 Percent Pure Therapeutic Grade Ginger Sweet Essential Oil - 30 ml. Aroma: Spicy, warm. Benefits: Balancing, clarifying, stabilizing. 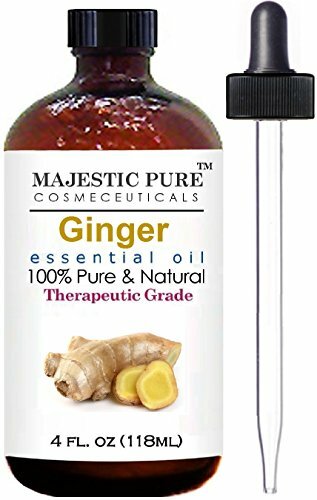 Ginger Root Essential Oil From Majestic Pure, Therapeutic Grade, Pure and Natural, 4 fl. oz. The plant is said to originate from India, China and Java, yet is also native to Africa and the West Indies. It was most likely brought to Europe between the 10th and 15th century as a condiment and spice.Ginger is a perennial herb and grows to about 3 - 4 feet high with a thick spreading tuberous rhizome. Every year it shoots up a stalk with narrow spear-shaped leaves, as well as white or yellow flowers growing directly from the root. It has been used as a medicine since very early times and is recorded in the literature of the ancient Greeks, Romans, Arabians, Indians and Chinese. Asian medicine uses dried ginger for stomach problems such as stomach-ache, diarrhea, and nausea. The Chinese also use it to boost the heart and to help with mucus and phlegm. The name ginger is said to be derived from the Gingi district in India, where tea made from ginger is used for stomach upsets. The Majestic Pure Ginger leaf Oil is 100% Pure and Natural. it is extracted by means of steam distillation from the unpeeled or dried, ground-up root of the plant. Our oils are by far the most effective on the market. Click the Button at the Top of this Page to Buy with Confidence. Support your respiratory function, digestion, and mood with Now Foods Ginger Oil made with 100-percent pure ginger. Natural and steam-distilled, the ginger this oil contains is from the dried, ground root of Zingiber officinale. As one of history's most celebrated natural spices, ginger contains many healing components and nutrients. Size: 1 ounce Active ingredients: Ginger Support respiratory function, digestion, and mood Dimensions: 1.3 inches x 1.3 inches x 3.5 inches We cannot accept returns on this product. Please note: Options of excessive weight or bulk will be shipped via Freight carrier and our Oversized Item Delivery/Return policy will apply. Please click here for more information. The content on this site is not intended to substitute for the advice of a qualified physician, pharmacist, or other licensed health-care professional. The products may have additional information and instructions on or inside the packaging that you should carefully read and follow. Contact your health-care provider immediately if you suspect that you have a medical problem. This product may not have been evaluated by the Food and Drug Administration and is not intended to diagnose, treat, cure, or prevent any disease or health condition. 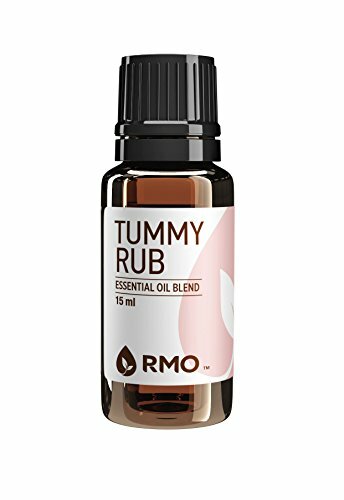 Formulated to be beneficial in digesting toxic materials and in alleviating indigestion, cramps, upset stomach, vomiting, belching, bloating, heartburn, gas, colic, nervous tension, anxiety and stress. It is anti-spasmodic, anti-infectious, anti-viral, anti-bacterial, and anti-inflammatory, improves circulation, toning to liver, kidneys, spleen and improves overall body functions. Assists the liver in producing enzymes, balances intestinal activity, relieving discomfort, motion sickness, jet lag, morning sickness, urinary tract infections, diarrhea and hiccups.Beneficial alleviating parasites by massage and compress application across the abdominal area. The oils in this formula have been found to rid animals of parasites by applying to their feet or tummy. Massage over the stomach area and applied a hot wet towel compress. Applied on "wishbone" area may lesson gagging. Applied behind the ears has alleviated morning sickness. For motion sickness inhaled and apply over abdominal area. Silky Scents EO21-15ML 100 Percent Pure Therapeutic Grade Ginger Sweet Essential Oil - 15 ml. Aromatherapy Properties: (Uses) It is antiseptic analgesic expectorant laxative and aphrodisiac. Aids memory cheers one up. Eases sore throats. Settles the digestive system effective against nausea hangovers jet lag sea and travel sickness. Relieves cramps rheumatic pains and muscle spasms. A valuable remedy in cases of impotence. Blends well with: Cajeput Cinnamon Leaf Eucalyptus Dives Frankincense Geranium Orange Sweet and Verbena (Vervain) Wild Crafted. Features100% Pure Essential Oil Raw Material - Ginger Sweet Botanical Name - Zingiber Officinale Therapeutic Grade Capacity - 15 ml.